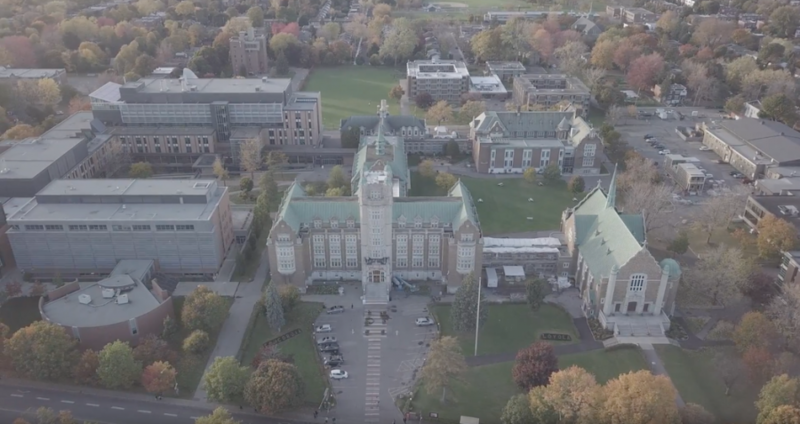 With the fall semester off to a start, francophone universities that can attract the most international students will now be able to receive additional funding from the provincial government, under a plan proposed by the Liberals. As part of their goal to attract more international students to Quebec, sums that can reach up to $9,000 will be awarded to French universities for each new international student they have enrolled. A total of $22.8 million has been allocated to the plan, and the extra funding will be given according to a max of 2,500 international students. The new funding plan coupled with the deregulation of undergraduate programs for international students will give schools in the regions more incentive to attract international students—as right now most international students go to Montreal universities instead. The deregulation that will come into effect fall 2019 will help as it’ll allow universities to set higher tuition fees for international students, said Mia Homsy, the director of the think tank Institut du Québec. The Institut du Québec wants international students to come in so Quebec can expand its aging workforce. In 2017, the institute published a report calling on the provincial government to deregulate international tuition fees so Quebec will be able to attract more international students. “Sometimes there’s no incentive because the money they get is not more than for a local student, so there’s no real incentive to spend money and energy attracting international students,” Homsy said. When the deregulation comes into effect, universities will be able to keep 100 per cent of the tuition gained from international students in deregulated programs. Before, the provincial government kept the majority of tuition fees gained from international students, with exception to those in the handful of deregulated programs created in 2008. Concordia President Alan Shepard told The Link he doesn’t “love the principle” of awarding extra funding to French universities over English ones, but says the new plan will have no impact on Concordia. Out of the $22.8 million in total allocated to funding the attraction of international students for the 2018-2019 school year, $12.8 million was taken from grants originally set aside for education, land and buildings maintenance and teaching and research support. The ministry of higher education could not be reached to give more clarification on where this $12.8 million was taken from. The Liberal government plans to keep investing in the attraction of international students over the next five years if they can secure office on Oct. 1. In 2017, about 25 per cent of all international students remained in Quebec after their degree, and the provincial government recently told Radio Canada they hope to see that figure double. $3.3 million is set aside for funding the attraction of international students for the 2019-2020 school year. In the 2020-2021 school year that amount is projected to raise to $6.7 million and for the two following school years it’s projected to go up to $10 million. The debate on whether high tuition fees will attract or repel potential students is still contested, especially between university administrators and student activists who say it prevents education from remaining accessible. Concordia’s Senior Director of Financial Planning and Budgets Jean-François Hamel said the university hasn’t seen any reductions in the number of international students as they’ve raised tuition for them over the years—actually, they’ve experienced the opposite. “The higher the price, the higher the demand will be,” said Concordia’s Chief Financial Officer Denis Cossette in a recent interview with The Link. “That’s the worst thing to say, what the hell,” said Anas Bouslikhane, the mobilization coordinator for the provincial Association for the Voice of Education in Quebec.